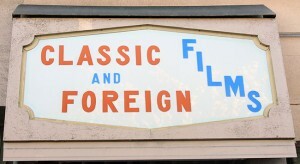 When you walk into Kensington Video, you will notice an authenticity that is unique in its broad range of film genres stacking on shelves, from comedies to black-and-whites and even some rarely seen silent films. You will see walls covered with bricolage of some of the best films made in history, such as iconic bobble heads, mobiles, standees and movie posters, such as “Giant,” the 1956 classic with James Dean. It feels like you’re walking into a film connoisseur’s haven and it’s an excellent place for browsing if you’re not sure quite what you’re looking for. When in doubt, there’s no need to hesitate as you can always count on Guy Hanford, the co-owner ready to assist at any given moment. 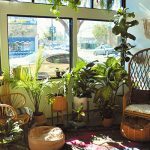 The store, one of the last of its kind, will officially close its doors on Feb. 28. 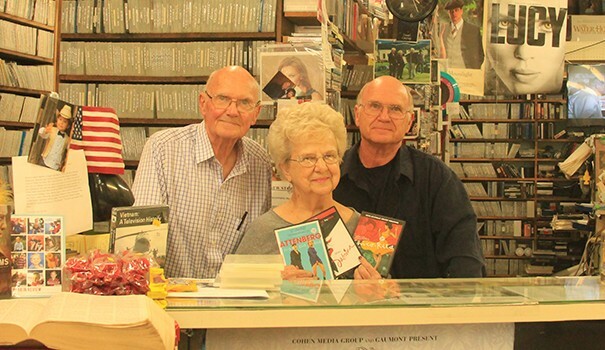 Ray Beattie, a loyal customer for 14 years and a high school history teacher, often comes in to rent film documentaries for his history class. “It’ll be sad when they officially close shop for good,” Beattie said. Guy, who operates the store with his parents, Rich and Winnie, and his sister Pam Hanford, said they are closing shop for many reasons, one of which is their mutual desire to retire. Guy explained that the cost of doing business is very expensive compared to an Internet supplier located in a warehouse in a low-rent rural area with minimum-wage employees. 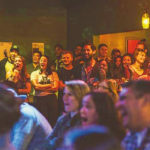 “We’re not bitter whatsoever and are sad to see so many businesses like ours disappearing from the communities,” Guy said. Winnie, known simply as “Mom” around the store, said every day has been an adventure since its opening. She said they have been operating in Kensington since April 1, 1984; just about 32 years, and have outlasted their corporate competitors, such as Blockbuster and Hollywood Video. “We know our last days are going to be hard,” Winnie said. A family-owned store carrying 70,000 titles — many of which are far from popular among the masses — is no easy feat. Guy and Winnie take pride in the cultural treasury they’ve built. “I personally bought every title in the store and searched throughout the country and even outside the country to secure many titles. The research was never-ending and was a passion I enjoyed pursuing every day,” says Guy. 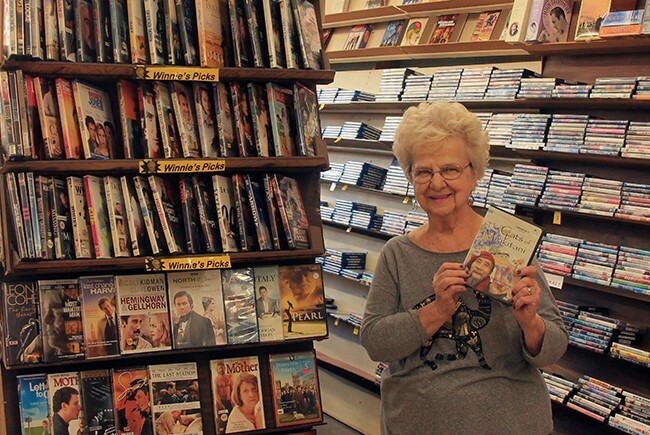 What also makes browsing titles so lively is that you will notice near the register, a DVD case stocked with movie titles that were selected by Mom, titled “Winnie’s Picks,” which she changes periodically for customers unsure what to rent. She pulls from a self-compiled list of 500 movie titles. “People may come in here and depend on the choices I’ve made because they may not know what to rent,” she said. Therese Rossi, who has been renting here for 18 years, said the owners work so hard to keep this place going with so many titles to choose from. She said she enjoys seeing the great mix of titles on the shelves of Winnie’s Picks and has discovered titles that she’s never heard of. “I enjoy her eclectic style in taste, including ‘Kramer vs. Kramer’ and ‘Wilde,’” she said. That day, Rossi chose “A Passionate Woman” from Winnie’s Picks. The BBC documentary series was a new discovery for her, thanks to Winnie. 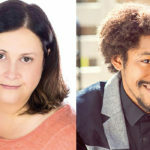 With movies on demand and online services to stream movies instantly, such as Netflix and Amazon Prime, Kensington Video is unfortunately a dying breed in the digital age. Many of the customers who enjoy the store’s wide selection are millennials, said Guy. When asked about what the millennials thought of the store’s closure, Guy mentioned that said the younger generation probably feels the most cheated out of enjoying Kensington Video, since their discovery of it was relatively recent. “The millennials love movies and are very knowledgeable on classics, such as silents and foreign films,” Guy said. “Many of them adore Cary Grant and Audrey Hepburn. When they walk into the store, they love the old school look. One of our customers has recently purchased standees, empty cases, VHS videos and promotional items because they are turning their one bedroom apartment into a video store replica. Obviously, they are old school and love our store. They will miss us and of course we will miss them too. 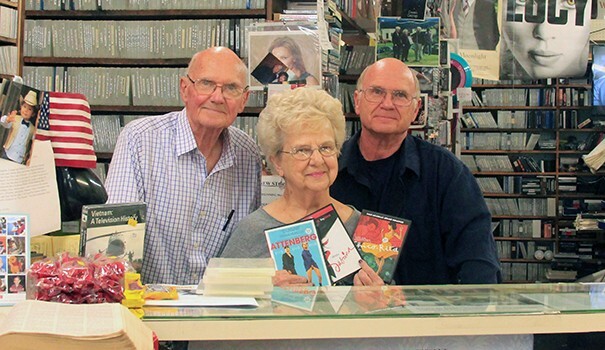 Kensington Video was treasured in the community for its vast collection of rare films. Sylvia Smith, who lives in San Carlos, has been coming to the store for 15 years and has been enjoying its final days by coming every Saturday, since she heard the news last November. She enjoys renting film noir titles, especially those with legendary stars such as Humphrey Bogart. “Having interaction with people is priceless and Netflix is no good,” she said. After the store officially closes, Guy says he will store all the movies in a warehouse location and attempt to rent online. If all goes well in developing an online business, he will cater to film buffs seeking rare, obscure, eclectic titles. “I’ve worked so hard at collecting all of these titles and it would be so hard to sell the titles that were hard to collect,” Guy said. 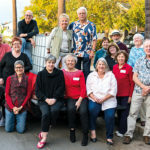 In order to keep the spirit alive for film lovers, Winnie plans to host a film community group near the Kensington Library once a week to talk about film, where she’ll also continue to recommend her own selections. 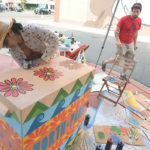 “It would be a great way to stay in touch, since we were able to make an impact to the community,” she said. Rossi mentioned her next best place to rent film rarities would be the library, although it won’t have the same affect she felt when she would browse at Kensington Video after all these years. “Since I live in the neighborhood, I do hope to stay in touch with Winnie by attending her film club,” she said. Currently, the family is in negotiations with potential renters, hoping to find a business that will be a strong asset to the community. “The building belongs to our family, and the space could potentially turn into a restaurant,” Guy said. For anyone who was able to partake in the Kensington Video renting experience, it will be a story you will have to tell your grandchildren, because the experience may soon vanish forever. “I sometimes wonder if the theaters will be next. I hope not,” Guy said. —Contact Karla Amador at karlaamador79@gmail.com. I love this video store. It will be sad to see them go. Netflix is certainly not a substitute for a gem like this place.